Considered by critics to be an accurate portrayal of frontline medical conditions, A Surgeon in Khaki is New Zealand surgeon Arthur Anderson Martin's account of his experiences in 1914, early in World War I. Already a well-respected and widely traveled surgeon when war broke out, Martin joined the Royal Army Medical Corps. Under Field Marshal Sir John French, he served at Le Havre, Harfleur, and at the battle of the Marne. He marched to Aisne, to the new lines behind La Bassee, and finally to Flanders. During his entire service, he advocated immediate specialist surgery for the direst wounds, even under fire. 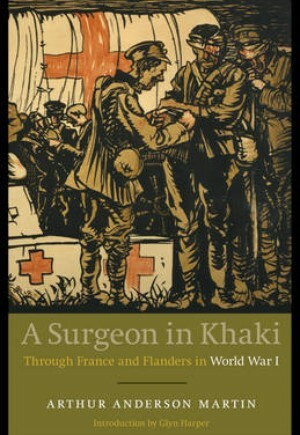 In this engaging narrative, the reader experiences the daily life of war through the eyes of the medical officers who tried valiantly to help the wounded and ill on the front lines of World War I. Martin provides colorful descriptions of the soldiers and officers, harrowing details of the battles, and riveting accounts of the difficulty of treating men in a war zone. A better firsthand account of medicine during World War I is not to be found.